With just one route into Kamikochi via the Kama Tunnel and no private cars allowed there are limited options for getting in and out of the area. 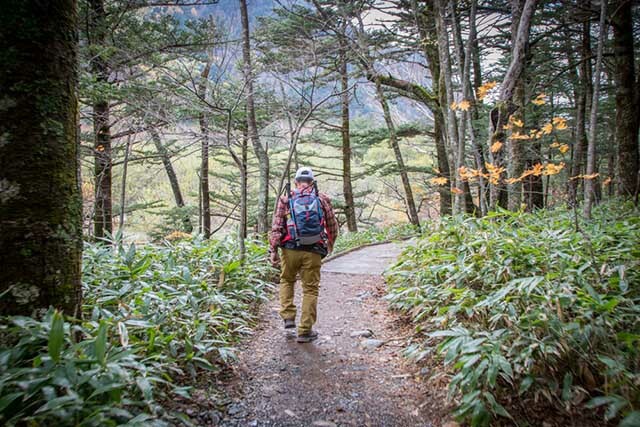 Once in the Kamikochi area you’ll find even less transport which naturally makes walking the best way to explore, both for seeing the wonderful views and for getting to your accommodation or checking out the shops and food spots. While taxis are allowed into Kamikochi, fare rates are high making the bus the best option for getting there. Some companies, including the Alpico Group, offer direct buses to Kamikochi from Tokyo, Osaka, and Kyoto which take between five and seven hours. For the quicker but pricier option, bullet trains stop at Nagano Station from both Tokyo and Shin-Osaka while express trains run all the way to Matsumoto Station. The main buses into Kamikochi are the Highland Express from Matsumoto Station which takes one hour and 45 minutes, and the Nohi Bus which starts at Takayama and heads to Kamikochi via Hirayu Onsen in around one hour. Remember that access in and out of Kamikochi is only available between 5am and 8pm so be sure to get back to the bus terminal in plenty of time if you’re just visiting for one day. If you do have a car, there is parking available at the Hirayu and Sawando parking areas. Shuttle buses running from the car parks into Kamikochi take around 30 minutes. For those staying overnight, some hotels offer shuttle buses or provide details about the best way to make your way to the accommodation if you’d like to drop your bags off before exploring. However, most buses and taxis will drop you off at Kamikochi Bus Terminal which is based next to the Kappa Bridge. Here, there are a number of shops and a cafeteria as well as the Kamikochi Information Center and the Kamikochi Sightseeing Center. This is a good place to work out your route and stock up on snacks before setting off hiking. As the route is well set up for visitors you’ll find several points along the trails for buying drinks and snacks, while restaurants and cafes are found in clusters around areas with hotels or lodgings. Arriving at Kamikochi admittedly takes some time but visitors are rewarded with kilometers of beautiful scenery. The best way to explore once you’ve arrived is by foot with walking trails offering a whole host of sights heading off in every direction. 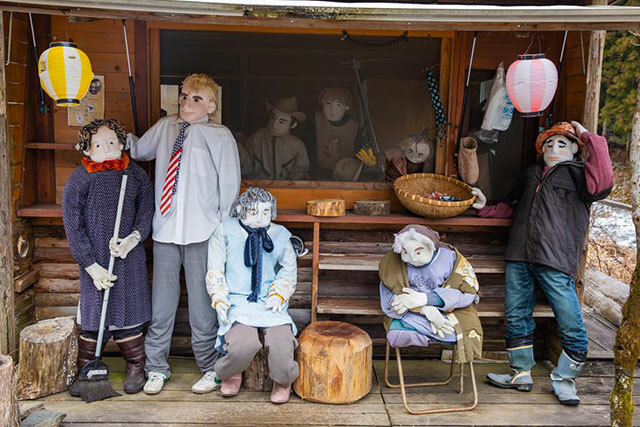 If you’re lucky enough to be visiting on October 8th, you can catch the Hotaka Shrine Festival. Follow the Azusa River north up to the picturesque Myojin Pond where the festival is celebrated on the waters. Visitors can enjoy a leisurely trip around the pond on a colourful boat complete with a Heian-style dragon head. If one day in the beautiful surroundings of Kamikochi isn’t enough, there is a good selection of accommodation in the area. 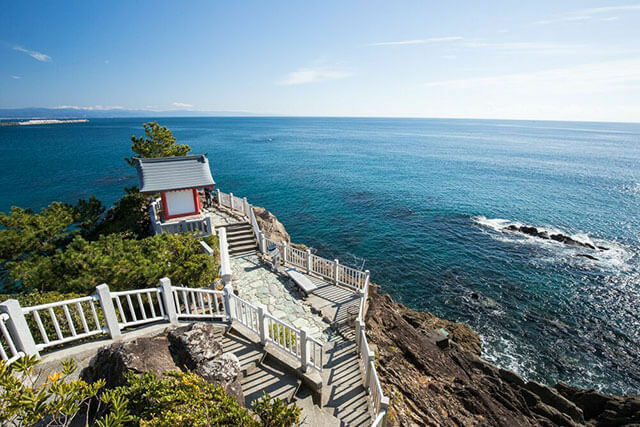 Prices start at around 5,000 yen per person for the night and offer everything from a simple room to an upmarket stay with your own onsen. Some hotel names include Kamonjigoya mountain lodge, Kamikochi Nishi-Itoya Sanso, Naka no Yu Onsen Ryokan, Tokusawa-en, and Yoko Sanso.